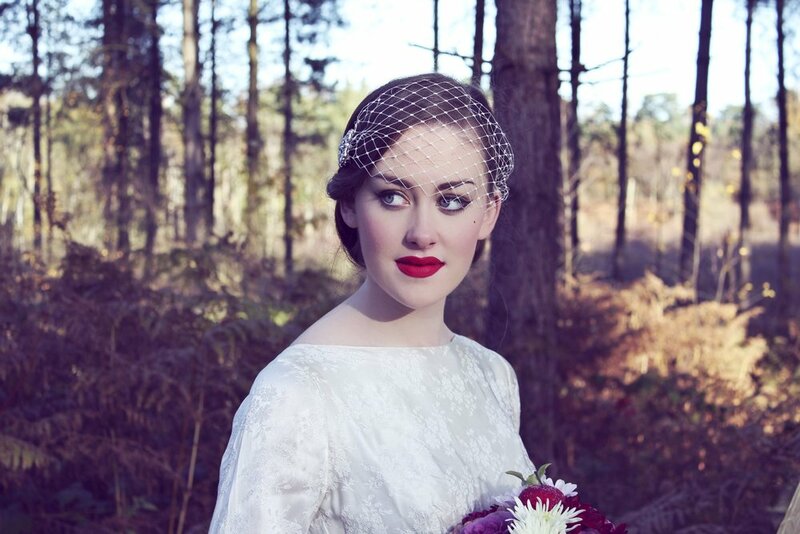 I specialise in Bridal make-up and since 2013, I have worked on over 200 weddings, so you are in very safe hands. Upon an enquiry, I will check my calendar and let you know my availability for your wedding date. I will then email you a booking form to be completed with all relevant details, which should then be returned to me by email as soon as possible. Once your completed booking form has been received, I will then provide a personalised quote based on the services requested. Once happy with your quote, I will draw up an invoice whereby a £50.00 non-refundable deposit will be required to secure your booking. Please note that I cannot hold a wedding date without a deposit, and during key-dates (particularly throughout the summer months) I receive many enquiries, so it really is important for you to enquire and secure the date as soon as possible-otherwise another bride may beat you to it! Once you have secured your booking for my services, I will be in contact with you as much as required to answer any questions regarding your bridal and bridal party make-up. I have even met with some bride's for coffee prior to any trial-run to discuss details, so if you would like to put a face to the name (or a chat on the phone) then I would be more than happy to meet with you. I recommend for the trial make-up to take place generally anywhere between 6 to 8 weeks prior to the wedding date, and this is because by this time, the bride will have most plans in place such as, colour scheme, gown, theme, flowers etc, all of which helps me to build up an image of your overall look, to ensure that your make-up compliments the entire styling of your day, and of course, your personal taste. The trial generally takes place at my home studio in Stockton, Warwickshire, however, if you would prefer me to come to you then this can be arranged (please note that a travel fee may apply dependent on distance). I carry out a thorough consultation with you prior to your trial make-up, and this includes clarifying all details of your wedding day, a skin type analysis, your likes & dislikes, how comfortable you are with make-up and of course, the look in which you would like to achieve for the big day. It is extremely important that you disclose to me any allergies, sensitivities or contra-indications (contagious infections) that you may have. All of my skin-care and cosmetics are hypoallergenic, meaning that they are very unlikely to cause a skin reaction. However, disclosure from you; should you have any concerns regarding product ingredients, is imperative. You should arrive for your trial-run make-up free, and you are more than welcome to bring a friend or relative with you. I always recommend that my brides bring some images for inspiration to their trial-run (creating a Pinterest board is great for this), as this will help me to create your bespoke look. The consultation and trial generally takes 1hr 30minutes for the bride. Please let me know if other members of the bridal party require a trial make-up and this can be arranged, but must be carried out during the same appointment (duration approximately 1 hour). Now, onto the wedding day itself! I will arrive at a time and location previously agreed and will set-up my kit. I have a make-up chair and a special lighting system should there be poor natural light. I request, where possible, that I have adequate work-space (roughly half an average-sized dinner table is enough), to enable me to work as effectively and comfortably as possible. I may also need to be working near to an electricity point for tools such as lighting and my airbrush make-up system. Depending on the bridal party size, I will generally begin making up the bridesmaids/mother of the bride/mother of the groom first. 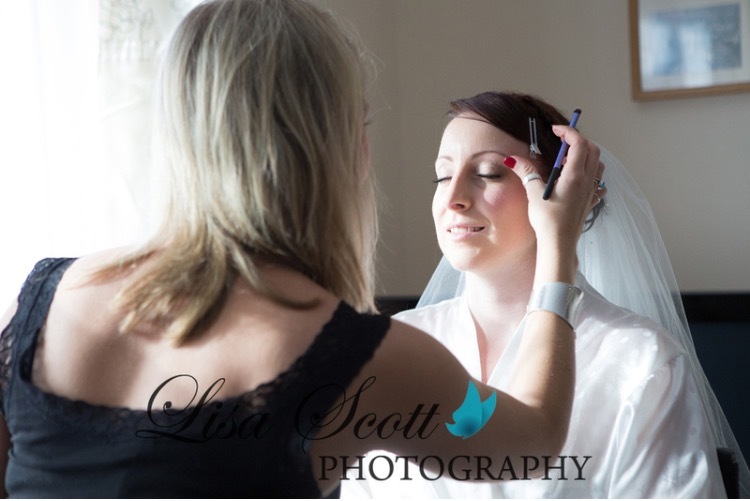 Where possible, I like to complete the brides make-up second-to-last so that it gives you plenty of time to get into your dress, enjoy some fizz and have some photographs taken. I spend up to an hour with the brides make-up on the day and approximately 45-50 minutes per bridesmaid/mum (make-up style dependent). I will then do any final touch-ups of lips and powder if necessary before you are ready to walk down the aisle! If you would be interested in booking my services, please contact me for availability and a personalised quote.